Old Saint Chongo – Bear Republic Brewing Co (7% ABV) – Cloverdale, CA – With the aroma of a chocolate covered banana, this winter warmer is a tasty treat. Medium bodied and malty this wheat beer starts with chocolate and finishes with a banana split. Sang Noir – Cascade Brewing (9.2% ABV) Portland, OR – One of my top five favorites from last year’s Ale Festival was this lovely sour ale. Tart cherries dominate the taste while hints of Bourbon hit the nose. Cascade ages their red and double red beers in Pinot Noir and Bourbon barrels for up to 24 months creating this very pretty, sparkly, holiday ale. Take it easy though, the wonderful flavor will make you forget the high alcohol! Chocolate Mint Stout – Gilgamesh Brewing (6% ABV) Turner, OR – Using locally grown mint and chocolate cocoa nibs, Gilgamesh has crafted a fun and festive stout that tastes like peppermint patties. I enjoyed this beer but was a bit disappointed with the body. It felt more like medium than full-bodied for a stout. Still a nice beer though. Bonaparte’s Retreat – Laurelwood Brewing Co (8.2% ABV) Portland, OR – One of my favorites of the day was this toasty, smoky Corsican Christmas Ale. A very strong ale, Bonaparte’s Retreat had a nice hint of roasted chestnut and a malty finish. Great beer but this one you will need to sip, slowly. The Nutcracker – Oakshire Brewing (8% ABV) Eugene, OR – Very nice Imperial Porter. Full bodied and malty with rich gingerbread spices and a touch of dark chocolate and coffee to finish. The Nutcracker is a great festive porter for the holidays. Belsnickle’s Strong Ale – Rusty Truck Brewing Co (7.6% ABV) Salem, Or – My favorite beer of the event was this wonderful strong ale. Brewed with cinnamon, nutmeg, and coriander Rusty Truck really captured what holiday ale should taste like. Warm and malty I had a hard time putting this baby down. Just a reminder with winter beers; the alcohol is going to be a bit higher than beers brewed during the rest of the year so please be careful when enjoying them. 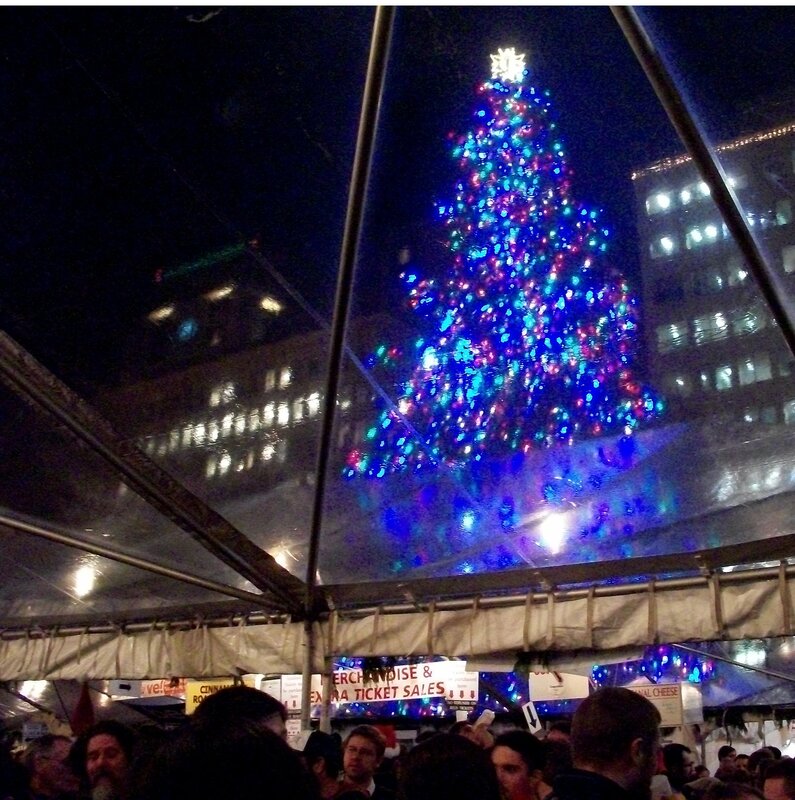 The Holiday Ale Festival itself was very fun and well-organized. The downside unfortunately was the beer. Brewers from all over the PNW showed up, but did not seem to bring anything spectacular. 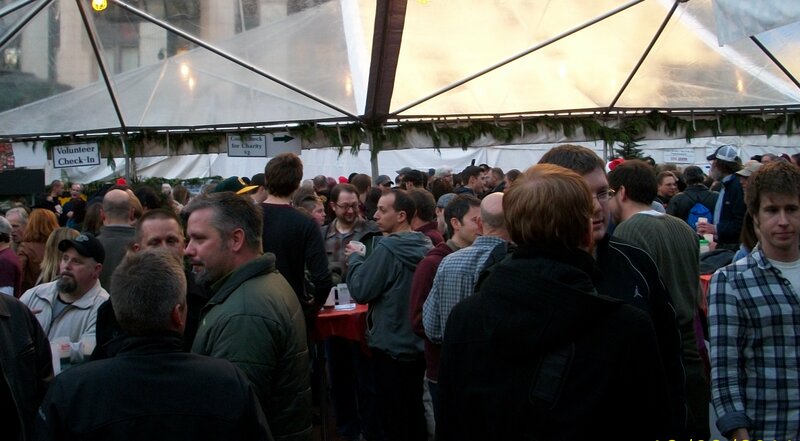 There were some really good beers at the event, but nothing seemed to “wow” me this year. Many of the beers did not taste as described and surprisingly a lot of them were a bit watery. Oh well, there is always next year.